For race results, visit RaceWire’s website. For pictures from the event, please visit our Facebook page. Law Office of Robert J. Hennigan, Jr.
Special thanks to Andrea Castinetti and Dale LePage of Unity Radio for being the emcees for the event! Thank you to the following businesses who donated gift cards and prizes for our raffle: the Strategy and Ops organization of Dell Technologies, managed by Christina Crowley for donating a Dell XPS 13 2-in-1 laptop, Stephanie Notley for working with Boundless Adventures in Berlin, MA to receive 4 free passes, George’s Coney Island, Ellie’s Pet Barn, Premiere Movie Tickets, AdCare Hospital for their donation of Home Depot and Walmart gift cards, Blushing Bee Naturals, Central Rock Gym, Brown Rice Thai Cuisine, Mountain Barn Restaurant, West Boylston Cinemas, Oil’s Italian Eatery, and Abundant Health, LLC. We would also like to thank Table Talk Pies for their donation of pies, Price Chopper for providing bananas, Wegmans for providing apples, bananas, granola bars and water, Lisa Engel for her donation of water and snacks, Michael McGoldrick for providing KIND Bars, and Heather Murray and family for sponsoring a water table and to employees of The Hanover Insurance Group for staffing one of our water tables on the race course! Special thanks to the West Boylston Police for having officers on the course to keep participants safe and to West Boylston Middle/High School for the use of their facility. 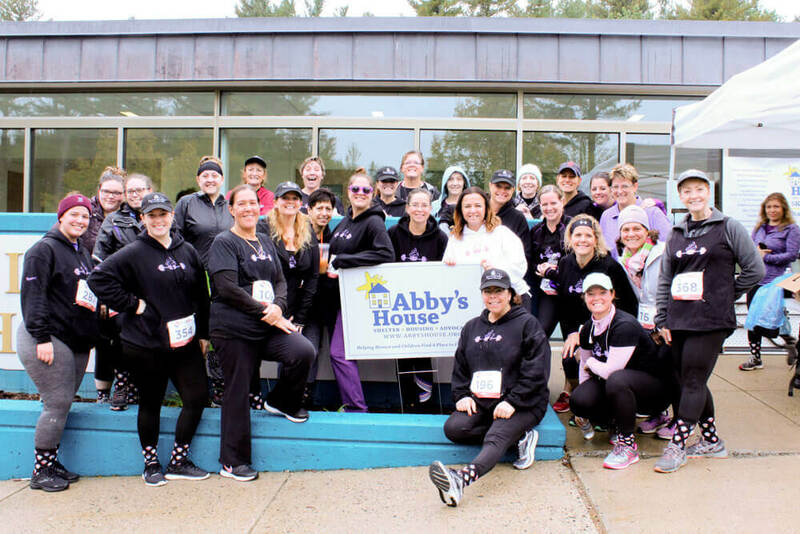 Thank you to the Abby’s House 5K Run/Walk Committee: Race Committee Chair, Patti McKone, Mary Chenaille, Ashley Brandin, Tina Potenti LaCroix, Isa Bayon, Pam Hanson, and Pam Guild for helping to put on a great event! Your commitment to serving the women and children of Abby’s House is remarkable! Over $31,000 (net) was raised from the event to directly benefit the Abby’s House shelter, housing, and advocacy programs. 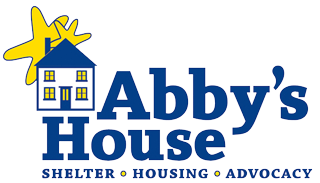 Thank you to race founders Susan Lauring, Susan Manero of Susan Manero and Associates Insurance of West Boylston and Peggy Dix of O’Brien & Gibbons Insurance Center of Worcester for creating this race with a vision of spreading awareness of Abby’s House in West Boylston and surrounding towns.